Where and How Can I Pay My Taxes? The most convenient way to pay your taxes is by mail. Payments can be made to the address on the bill which is Atlanta, Ga. or you can choose to mail to Pender County Tax Collections Office PO Box 1047, Burgaw, NC 28425. You can pay your bills in person by check, money order, cash, or credit card at the Tax Collections Office. We are located at 300 East Fremont Street, Burgaw, NC 28425. Office hours are 8:00 am to 5:00 pm Monday thru Friday. 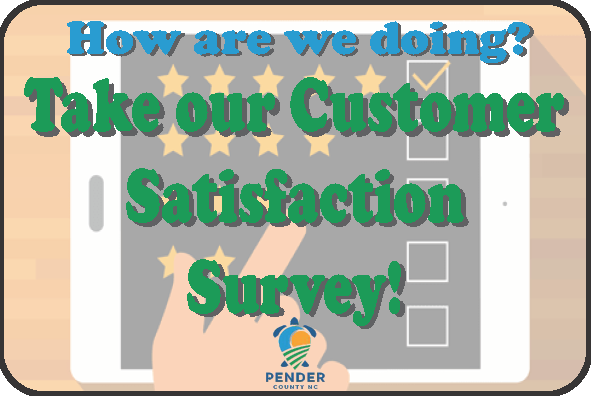 Using the Official Payment Phone Service at 1-800-272-9829 and when prompted, you will enter the Jurisdiction code for Pender (4358). Please have your bills handy before using this service. When using a debit or credit card there will be a convenience fee charged to your transaction. The convenience fee is based on the amount of the transaction. North Carolina law does not have a provision to allow local governments to absorb the cost of this service; therefore, you will be charged a convenience fee. Official Payments sends a report to us each morning for the transactions from the prior day. Payments are promptly posted each morning. How many years can taxes be delinquent before I have to worry about any type of legal action? For Real Estate and Personal Property that are past due are assessed an interest charge per month of 2% for the first month and ¾% for each month thereafter until taxes are paid in full. All taxes that are delinquent are subject to enforcement measures such as levy, Garnishment of Wages, Attachment of Bank Accounts, Attachment of Rents, Attachment of State Refunds, Seizure of Property, and Foreclosure of property. Which Tax Department do I need to contact if I have a question about the value of my property, name is incorrect on the bill, need a description of where property is located, description is incorrect, acreage is incorrect, tax exemptions, deferred questions, late listing penalties, solid waste fees. I am in the Military (or) I feel I should be exempt from paying Taxes on Registered Motor Vehicles, Real Estate or Personal Property. Who should I contact? When will I receive a bill on Real Estate and other Personal Property Taxes (excluding motor vehicles)? Tax Bills are mailed the later part of August each year and are due and payable on September 1st; however you have until January 5 to pay with no penalties or interest. You can begin making monthly payments or pay in full as soon as you receive the bill. This is an option many taxpayers use in order to budget for the taxes. Interest will begin on January 6 at the rate of 2% for the first month delinquent and ¾% each month thereafter until paid in full. Delinquent taxes are subject to immediate legal remedies such as Garnishment of Wages, Attachment of Bank Accounts, Rents, Attaching State Refunds, Foreclosure, or Seizure and Sale of personal property. ***If you do not receive your tax bill, please contact the Pender County Tax Collections office during regular office hours to request a duplicate. I received a tax bill for a car I just purchased a few months ago. Why am I getting a tax bill from DMV now? Didn’t I pay this tax when I registered my car with DMV? 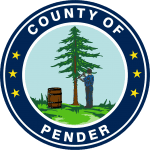 Pender County Tax Collection no longer collects vehicle taxes. Vehicle taxes are collected through DMV. If you have any questions contact DMV at 919-715-7500 or visit their website https://www.ncdot.gov/dmv/. What if I buy/sell property during the year? The owner of personal property as of January 1st of the current tax year is responsible for taxes for the entire year. Real estate taxes are not pro rated but are usually handled between the buyer and seller at the time of closing. You should refer to you closing documents to see if provisions for the property taxes were made at that time. The tax bill is sent to the owner of record when the bills are processed. If there is a change in ownership a bill is also sent to the new owner. Our office makes every effort to send the new owner the tax bill because the taxes follow the land and if taxes are unpaid a lien is placed on the property and various forms of legal action can be taken against the current owner. **If you do not receive your tax bill, please contact the Pender County Tax Collections office during regular office hours to request a duplicate. Do you allow payment schedules for taxes? Yes, As long as there is no legal action already on the account. Contact us before the tax becomes delinquent, as this allows more time to pay. After the taxes become delinquent the time shortens considerably for payment schedules. Why am I sending my Tax Payments to Atlanta, GA? We have implemented a Lock Box system in which the payments are processed and the reports are sent to the Collections Office each day. This provides for faster posting of the payments and efficiency. Most business and medical facilities utilize this same system. I have an escrow account with my mortgage why did I receive a tax bill? We send the bill to the owner of the property as well as to the mortgage company (or their tax-servicing agent), if it is requested. Most of the tax bills are sent electronically to the mortgage companies. However upon request we will also send a paper copy of the amount due to the address they provide or we will fax it. We suggest that you follow up with your mortgage company to be sure they have requested your tax bill in order for it will be paid on time. When do the Mortgage Companies usually pay my tax bill? The Mortgage companies (or their tax-servicing agent) usually remit payment starting mid November thru December 31. We suggest you verify your payment data with the mortgage company. Do you accept post mark dates? Mail payments are deemed as received as of the date affixed by the U.S. Postal Service. Not metered from the Business or Person. What is the address for the Tax Listing and Assessing Office to mail questions or concerns for registered motor vehicles, values, situs, surrender of plates receipt and proof that you are no longer the owner? Did you know we accept Prepayments on your taxes (excluding motor vehicles)? We have many taxpayers each year who start making monthly payments before they receive their tax bill. If you choose to do this, please be sure to write your parcel number or account number on your check along with the words” PREPAYMENT” When you receive your tax bill you can continue making the monthly payments until the bill is paid in full. This is a good way to budget and make sure your taxes are paid before they become past due. As the holiday season approaches most people realize that real estate and personal property taxes are due on or before January 5. What comes with this is a large number of taxpayers that come in during the holiday season to pay their tax bills. There are Long Lines and a Long Wait Time during this period. We would like to make you aware of some small things you can do to avoid a long wait time for you or others. Have a copy of your bill for all properties you are paying. Do not assume that we know how all of your property is listed, as we do not. We do the best we can however misspellings, a variance in the name, or listed in a spouse, child, parent, etc. You know what real estate and personal property you have, be sure to have those bills with you. Be prepared to pay in cash or money order if you are paying for a blocked vehicle tax bill. We have a payment drop box. This is located right outside the building doors. This can only be used if you are paying by check or money order and you have your bills enclosed. During the busy times we check this periodically during the day and the payments are keyed in on the same day, if received before 5:00pm. We don’t recommend that this be used after hours. Come early. We open at 8:00 am. The lines are usually long starting around the middle of December through January 5. If you have questions about your bill or wish to discuss payment options please come as soon as possible. After January 5 our ability to work out payment arrangements are severely limited. There is more time if you start paying as soon as the bill is mailed to you in August. Use the Official Payments phone number (1-800-272-9829) and use the jurisdiction code (4358) or website (pendercountync.gov), or mail in the payments. I paid my tax bill and I received a past due notice in the mail. Why? There are many possibilities for this. We did not receive your payment from the Post Office, or your payment crossed in the mail with the delinquent notice. Call to verify the status of your account. January 6 – Interest begins on Real Estate and Personal Property Taxes (excluding motor vehicles) 2% January and ¾ % each month thereafter. March – The first Wednesday in March the delinquent unpaid Real Estate Taxes are listed.